Purple Heart Hero Support™ is a lifeline for military service members and their families in their time of need. An outreach of MarineParents.com, the program supports and provides services to wounded and ill troops and their families through every phase of recovery, from hospital to home. We do this because it’s the call no military family wants to receive, the call telling them that their loved one is receiving medical care. It can be overwhelming when a family member in the military is hurting. Purple Heart Hero Support™ is the concrete manifestation of the love and support people across America have for our troops. It gives our wounded heroes and their families a hand to hold and a shoulder to lean on – and the tools to help during the road to recovery. Through the Purple Heart Hero Support™ program, you help us provide hot meals to our troops and their families at medical centers in Bethesda, Maryland, and San Diego, California. Breaking bread together gives families, injured service members and our volunteers “a place to connect and share”™ with others going through similar circumstances, helping them know they’re not alone in their journey. Once they leave the hospital, the Purple Heart Hero Support™ doesn’t end. 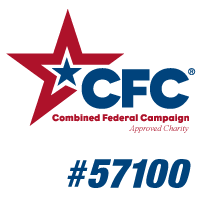 With your contributions, we’ll continue to be there to help meet service members’ needs, find someone who can help directly or promote their causes. Because at MarineParents.com, the Purple Heart Hero Support™ program is not about us: It’s all about our troops and their families. When you give to the Purple Heart Hero Support™ program, your gift helps wounded heroes and their families by providing them the healing items they need. Your generosity goes toward making sure they have The Wounded Warrior Handbook, a resource guide about military medical processes, benefit claims, legal issues and more. Your gift provides them with a journal, an encyclopedia of their daily ups and downs, and a record of important medical information and meetings. These lifeline items come in a comfort tote bag that helps families keep all their important documents in one place. For our Purple Heart heroes, your money also goes toward providing them with adapted clothing made so the injured can dress themselves. These items help severely wounded troops become more self-sufficient, which raises their morale – which in turn helps speed their recovery. Make a one-time donation or sign up for an ongoing sponsorship. Click here for a one-time donation. Get your community involved in a fundraiser to help support our wounded heroes. Contact us by phone or email for more information and tips for success. Join Team Marine Parents™ and garner donations when you compete in an athletic event. Visit www.TeamMarineParents.com for more information. When you help, take comfort in the fact that you’re doing something for our military personnel who have given so much to protect you and your freedom, to protect your American way of life.